With an eye to these and other ancient statements, I cannot agree with the most innovative contribution of Ehrman’s otherwise very useful book. Ehrman has rightly joined the growing number of scholars who have raised substantial doubts regarding the once-popular thesis of innocent ancient pseudepigraphy. At the same time, his assertion that in antiquity a text’s authenticity was assessed not on the basis of its content but always on the basis of its wording goes one step beyond what the numerous relevant sources reveal. I think Baum’s sources generally support this conclusion. Several also touch on the issue of works published without the author’s explicit consent. So the article is worth reading for an eye beyond just the question of pseudepigraphy. Some of his sources also touch on broader questions about authorship and publication which we discussed on the blog recently. It’s just over ten years since Bart Ehrman published his bestselling Misquoting Jesus (reviewed here) and almost ten years since Christanity Today called textual criticism one of “the hottest issues in evangelical theology.” In that time, textual criticism, particularly of New Testament, has become a staple of Evangelical apologetics, with articles on the subject in study Bibles, popular apologetics, and books on the reliability of the Bible. Unfortunately, the apologetic output too often suffers from ignorance of what we all know to be a highly technical field. At times, the results can be quite embarrassing (for example). And the problem does not seem to be improving despite the increasing number of well-trained, Evangelical text-critics. So, about a year ago, Elijah Hixson and I began planning a way to address this problem. The result is a book project that we are excited to say has recently been accepted by IVP Academic. (More on that later.) Today, as part of that larger project, we would like to announce a special session at this year’s Evangelical Theological Society meeting in Rhode Island. Rather than offering one more response to Ehrman and co., however, the idea is to hold an in-house discussion, one which takes stock of our apologetic efforts over the last decade. The session is two-part. The first part offers selections from the forthcoming book and the second part is a panel of top Evangelical scholars who have written on the apologetic topic at hand. Elijah and I are especially excited that everyone we asked to join the panel has agreed. We actually adjusted our original schedule to give our panelists extra time. Readers will notice several fellow ETC bloggers on the panel and at least one who will be participating in ETS for the first time. Don’t miss it! Some time ago, I posted Hort’s review of Dean Burgon’s defense of Mark 16.9-20. Along with that, and more interesting than the review, was a letter that Hort sent to Westcott about his review and the importance of its timing. Hort tells Westcott that he hopes the review is out before the committee for the RV meets to discuss this passage. And so it was. The review was published just before that meeting. What I had not realized then was that Hort, in timing his response, was following in Burgon’s footsteps. Burgon’s own book was timed to precede—and so influence—the committee’s discussion of this passage. The newspapers were officially provided only with details of the days of meeting, the members present, and the passages examined. This provided at least one antagonist, Dean Burgon, with the opportunity to time a publication on the integrity of the last twelve verses to Mark’s Gospel (the ‘Longer Ending’) before the Company dealt with the passage. 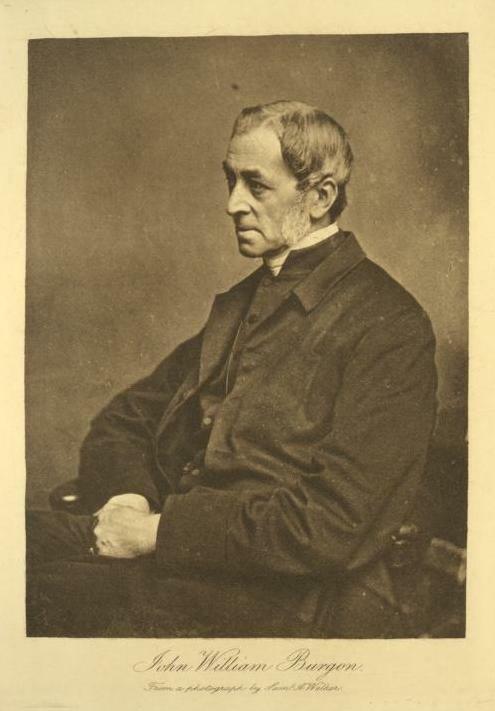 Westcott’s close companion on such textual issues, Fenton J. A. Hort, saw the political danger immediately, and bemoaned to Westcott the rapid refutation that was needed if the Company was not to swing behind the moderately conservative Frederick Scrivener. As it was, the implication from the minutes is that the discussions on this passage were lengthy if not heated. Of all the 412 days of meeting, this seven-hour meeting yielded the least number of verses processed. Having seen the minutes from these meetings, I can say that they are pretty boring. The first few entries detail who voted for what change but after that they quickly become a mere record of who was present and what changes were voted for. But Cadwallader’s observation is probably right to see the less-than-usual progress as a sign of serious debate. At least we know the decision was not made hastily. Perhaps I should also note that Cadwallader has been at work on a history of the RV and I hear that he is making good progress. It should be a fine study when it comes out. I can’t remember where I came across Bruno Chiesa’s work, but I think readers here will at least be interested to know of its existence. 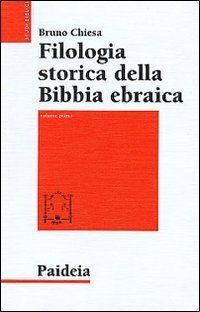 The two pertinent volumes I have in mind are titled Filologia storica della Bibbia ebraica or Historical Philology of the Hebrew Bible. Volume 1 covers Origen up to the medieval period and volume 2 takes us to the present. At the end of the eighteenth century, the focus of exegesis started to shift from philology to literary criticism and hermeneutics. Chiesa argues that textual criticism and literary criticism have different tasks. Textual criticism, which in Chiesa’s view deserves a positive reevaluation, tries to establish the oldest documented form of the given text, whereas it is the role of literary criticism to establish its original form. Chiesa believes that the time is ripe for the creation of critical editions of the books of the Hebrew Bible, especially of those for which a historical archetype can be reconstructed. During the past decades, several Italian scholars, such as Paolo Sacchi, have undertaken preliminary work in this field, but their studies have received too little attention. In these two volumes, Chiesa has shown himself to be an independent expert who is thoroughly acquainted with the existing literature, both old and modern. Chiesa offers a magnificent overview of the history of the philology of the Hebrew Bible, paying due attention to periods that are usually disregarded by other authors. He even discusses the contribution of scholars, such as John Philoponus (sixth century), whose biblical studies have only recently been brought back into the limelight (104–9). 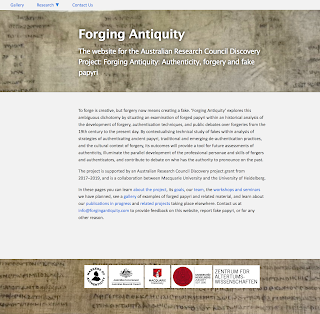 "Forging Antiquity: Authenticity, forgery and fake papyri"
Material analysis: authentication or forgery detection? 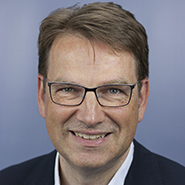 Darius Müller announced the latest (and last) volume of the Text und Textwert a few months back. As users of the ECM know, the TuT volumes are used to determine the most important witnesses cited in the ECM and these are then further reduced for citation in the NA. So for this and other reasons these are important volumes. 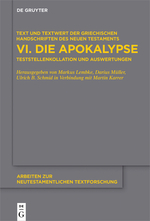 The “Text and Textwert” volume of Revelation is on the way to the printing presses by De Gruyter (ANTF 49). Details from de Grutyer are here. Congrats to the team in Wuppertal for reaching this milestone. I should say at the outset that finding errors in NA28 is rewarding because they are so few and far between, and because you are pitting your wits against the best in the business. Finding errors in NA28 is a sport based on a fundamental level of respect in the colleagues who have over the years made the NA into the gold standard in our field. It is also a challenge because many things that look at first sight like errors turn out not to be errors, but rather misunderstandings on the part of the challenger. So with this brief introduction I shall note an error I spotted today following a great Logos seminar on page 170 (fol. 87R) of P46 [there is a problem already hidden there for the inquisitive, but I won’t say any more on that right now]. At Phil 1.23 NA28 notes that the word EIS is omitted before the articular infinitive TO ANALUSAI in P46c D F G. You wouldn’t be at all sure about the reading of P46* on this basis - a first guess might be that P46* did read EIS and a corrector has marked it for deletion - but you wouldn’t know anything except that there was some complexity in the manuscript here. [Incidentally, you might also wonder why DFG are agreeing with P46c but not (by definition) P46* - which could also be interesting if it really happened.] To figure out what was going on with P46 here you’d have to consult a good image. I offer this small post as a homage to NA28 with a hope that this might be corrected in future editions (NA27 correctly noted P46 D F G as witnesses to the omission). 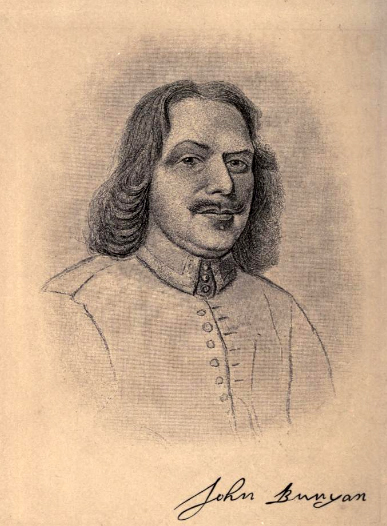 To these years before the Restoration belongs also the story of Bunyan’s encounter on the road near Cambridge with the university man, who asked him how he, not having the original Scriptures, dared to preach. To this he gave answer by asking this scholar, in turn, if he himself had the originals, the actual copies written by prophets and apostles. No, but he had what he knew to be true copies of the originals. “ And I,’’ said Bunyan, “ believe the English Bible to be a true copy also,” upon which the university man went his way. 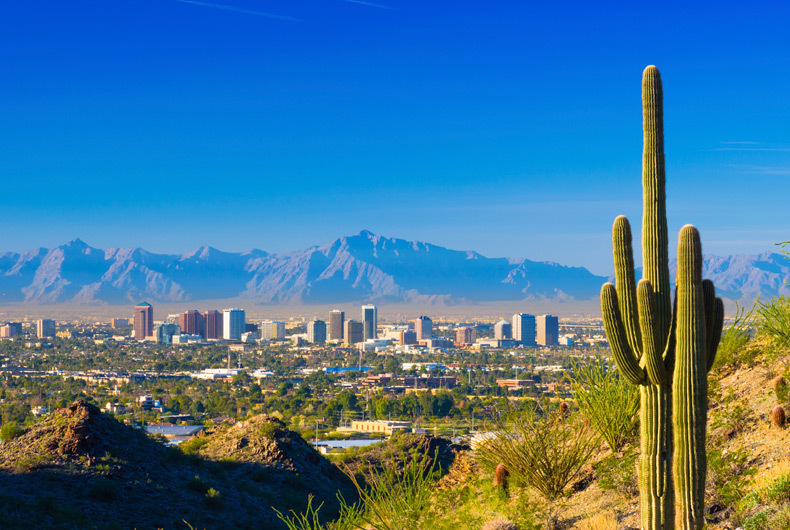 The Gurry family has just landed in the blazing sun of Phoenix, Arizona where I will be teaching New Testament in the fall. By my count, this means that the number of Biblical text-critics in the city has just doubled—amazing! (For those who don’t know, my colleague and sometime fellow-blogger, John Meade, is expert in all things OTTC with special emphasis on the Syro-hexapla.) So, if you want to study textual criticism, come to Phoenix Seminary. I can promise lots more sun than Cambridge or Oxford. “Knowledge of documents should precede final judgement upon readings.” Useful though this adage by Westcott and Hort is, it is also a little bit of an open door: lots of things should precede ‘final judgement’ (and when is anything ‘final’ in our discipline?) But what are the things that one needs to know about a document? It seems to me that ‘knowledge of documents’ includes also ‘knowledge of its readings’. Because manuscripts are not just characterised by their appearance, their dating, and their paratextual apparatus, first and foremost they are carriers of a text with a specific wording. The particulars of the wording of a manuscript, its ‘readings’, make a manuscript textually different from others and are an accumulation of inherited readings and scribe-created ones, but for our purposes today this latter distinction is irrelevant. What I want to demonstrate is how important it is to know about the tendencies a manuscript exhibits in the wording of the text, patterns within their readings. None of these individual readings needs to be unique to the witness, as long as one can make a case for a certain inclination to a type of reading. So we are talking ‘manuscript habits’ rather than ‘scribal habits’, or perhaps better, ‘manuscript tendencies’. Today I will share an example that explains a difference between the Tyndale House Edition and the modern critical editions. Romans 1:1 starts as follows in the current Nestle-Aland, UBS, and SBL texts: Παῦλος δοῦλος Χριστοῦ Ἰησοῦ, ‘Paul a servant of Christ Jesus’. The Tyndale House Edition breaks the mold of modern critical texts and has, Παῦλος δοῦλος Ἰησοῦ χριστοῦ, ‘Paul a servant of Jesus Christ’ [edited: Initially I claimed wrongly that we had retained the reading of Tregelles]. The difference is that of the word order in ‘Jesus Christ’. Both orders are found widely elsewhere in the Pauline corpus, though ‘Christ Jesus’ is typically Paul, with hardly any occurrence outside his writings. The evidence for ‘Christ Jesus’ here in Rm 1:1 is limited though, only B(03) and P10, a roughly written papyrus that doesn’t seem to have been part of a whole text of Romans, but contains nothing more than the opening of the epistle. Both manuscripts are palaeographically dated to the fourth century. In addition there are the minuscules 81 and 1838. Neither the two minuscules or P10 in themselves would be sufficient to tip the scales in favour of considering ‘Christ Jesus’ in the main text, but it is the presence of B(03) that opens up the possibility. I assume that one of the main reasons why ‘Christ Jesus’ is preferred is that it is more likely that typically Pauline usage is harmonised to the more general pattern than the other way around. It would almost require a scholarly and editorial mind in order to make a text more ‘Paul’ than Paul himself was, and since we don’t know of such source, the reading of B(03) and P10 is more likely original than not. This is where manuscript tendencies come in. There are a number of variants elsewhere in Romans where B(03) occupies also a heavy minority position in its readings. In the following five places B(03) has Christ Jesus where almost everyone else has Jesus Christ: 5:17; 5:21; 13:14 (’Christ Jesus’ for ‘Lord Jesus Christ’); 16:25 (together with minuscule 1739); 16:27. In addition there is 3:22 where B(03) has ‘Christ’ for ‘Jesus Christ’, whilst A(02) has ‘Christ Jesus’, and also 5:15 where minuscule 1739 has ‘Christ Jesus’ for ‘Jesus Christ’. The changes in B(03) are not systematic or exhaustive by any means, but they are remarkable, and concentrated in this particular witness. There are two things one can do: accept the text of B(03) in all these places, or conclude that B(03) has in this particular feature the tendency to do what we above rejected as highly unlikely, namely to make Paul’s text more like Paul. I believe it is the latter, but this implies something quite interesting: the text-critical canon to prefer the reading that is most in line with the style of the author has been applied apparently already in this fourth century manuscript! In B(03) we find an intensification of Pauline style, at least when it comes to the order ‘Christ Jesus’ (I believe that I have found similar intensification of author’s style elsewhere in B(03), but that is not for now). Summing up, B(03)’s tendency throws a large shadow over the value of B(03) in Rm 1:1 and makes it hard to accept its reading. More broadly, I hope this shows how important it is to know the tendencies of some of the key witnesses (and constellation of witnesses) in order to understand and explain the evidence at any given point. And that is why we need good and deep studies of our main manuscripts. To come back to Παῦλος δοῦλος Ἰησοῦ χριστοῦ in the Tyndale House Edition, now you know the story—it is more than just a numbers game. Since 2012 our Digital Humanities Centre at the University of Balamand has been developing an online database for the Arabic text of the Gospels. The database is accessible online and it’s open for scholars. 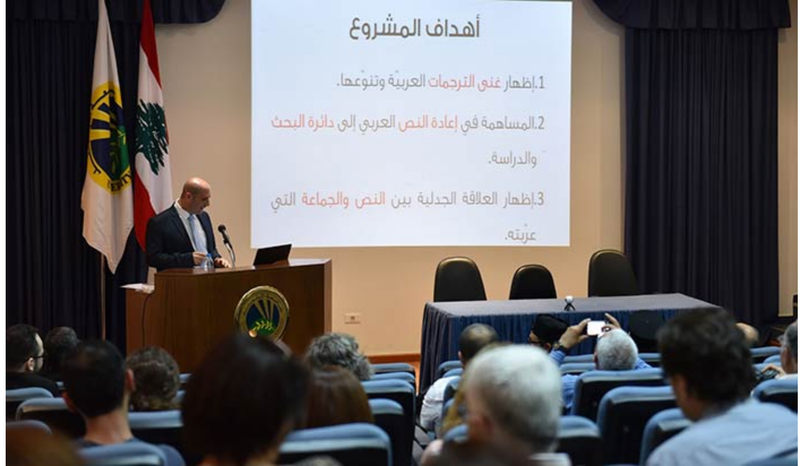 The “About” section: It includes a presentation of the project and the methodology used. The “Manuscripts” section: It allows the user to browse the Gospels manuscripts transcribed in the database. 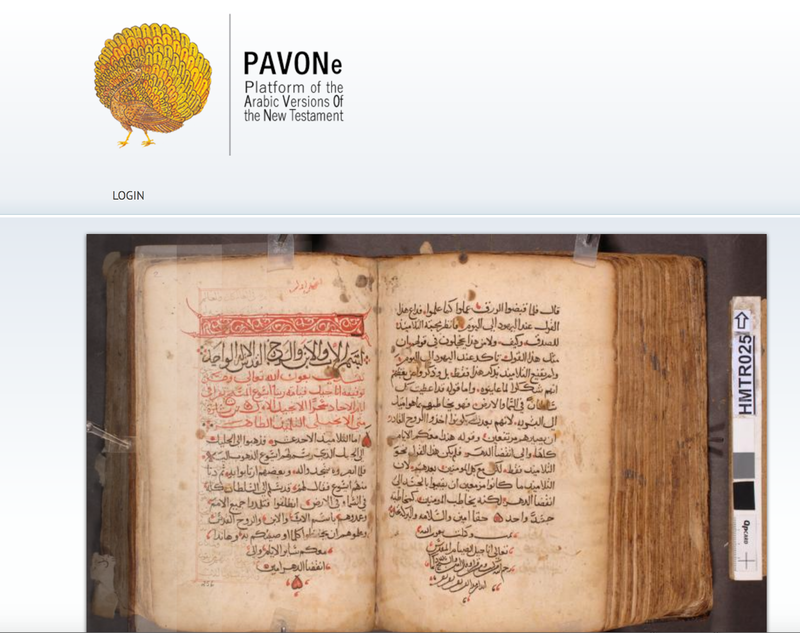 Two browsing modalities are offered: the first one allows the scholar to visualize the manuscripts in their geographical location using a geotagging feature; the second one allows the filtration of the manuscripts by a variety of parameters (date, language...). Both modalities lead to the same resources and give the researcher the possibility of displaying some codicological and paleographical properties of the manuscripts and their content as well. The “Lectionary” section: It gives the liturgical structure of the lectionary as used by the Rum Orthodox Church and allows the researcher to browse the corresponding pericopes in the lectionary manuscripts. 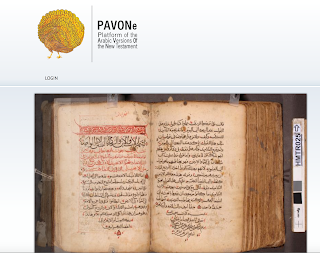 All the transcribed texts are published with a copy of the manuscript containing the reading. This allows the scholar to examine the original digital photo of the text and to compare it with our reading. The “Citations” section: In this section, we identified all the citations and allusions of the Gospels verses in the literature produced by Christians and Muslims in the first millennium. We limited our sources to the works mentioned in the monumental work: “Christian-Muslim Relations. A Bibliographical History”. This section enables the researchers to browse all these citations and allusions and to compare them with their parallels in the lectionaries and/or continuous texts of the Gospels.